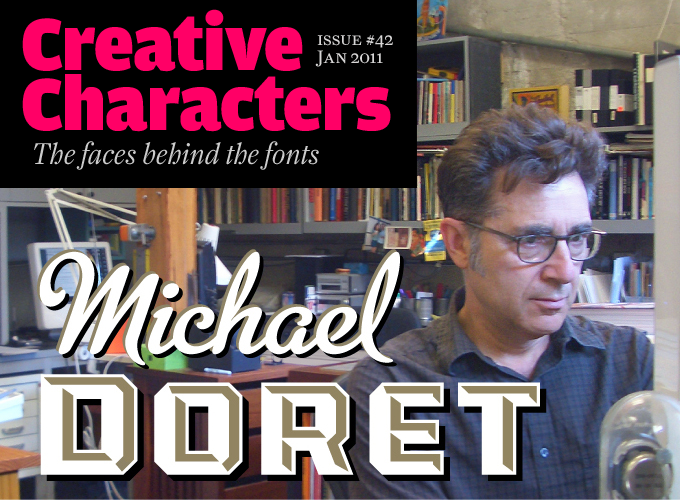 I feel very honored that MyFonts chose me as the subject of their January 2011 Creative Characters Newsletter. It took the form of an interview, and in it I’ve answered a lot of questions, probably at greater length than I have in the past. So if you’re curious as to what makes me tick, set aside 10 or 15 minutes and read this interview. If you still have any questions, I’ll entertain them here! All you information hounds can also check out the new “Interviews & Articles” page I’ve just set up on my website, where I’ve posted other interviews, articles, PDFs, etc., that I’ve done in the past. Now go write that report!